Rare is the person who has never heard of “SEO”, or Search Engine Optimization. Or at least someone who doesn’t know that someone out there is paid a lot to know how it all works. SEO is critical for driving more traffic – and more potential customers – to a website. But how do we movers “do” SEO? How do we convince those internet search engines to point more people to us? There are actually tons of ways. Some are easy to implement, while others … not so much. Today we offer up three easy strategies you can put to use right away (plus a tip for holding onto those potential customers who come to your virtual door). Keywords are what bring your customers and you together – provided you are using the right ones! So what are those magic words? Just think: What would people type into that little search box on Google if they want to find a moving company in, say, Boston? That’s right: “Boston moving company”. But how many moving companies are there in Boston? You’ll want to set yourself apart somehow so those search engines will pay you some attention. How? People moving in to or from Boston aren’t usually just looking for a moving company. Really, they’re searching for “Boston movers that can assemble furniture,” or, “insured Boston movers.” What specific services or features do you offer? When you’re writing your webpage, build one that cleanly and clearly explains each feature you offer, so that as Bostonians search for “Boston area pet-friendly movers”, they’ll find your animal-lovin’ crew at the top of their search results. There’s a website for that. 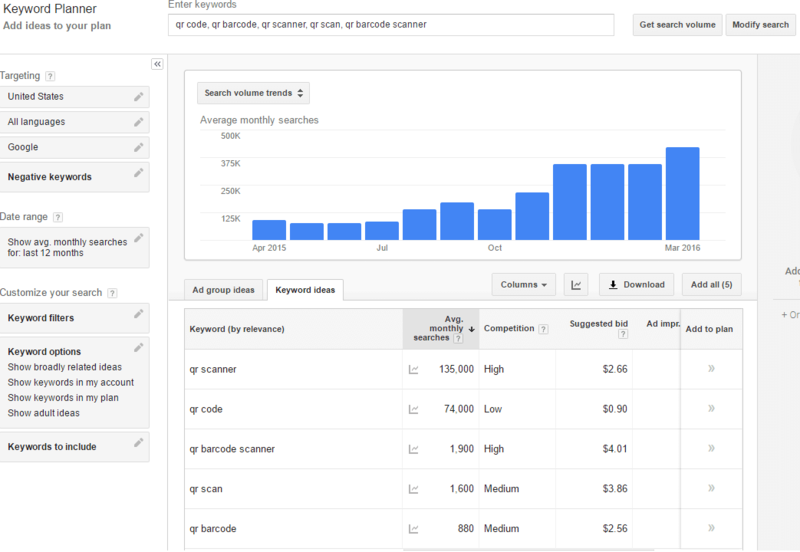 With Moz’s Keyword Explorer, you can do 20 free searches per month. Plugin your best guess at a search phrase and Moz reveals data for that phrase, including how many times that phrase gets searched, its ranking difficulty, along with a list of additional keyword ideas. Google’s Keyword Tool is also a great tool. 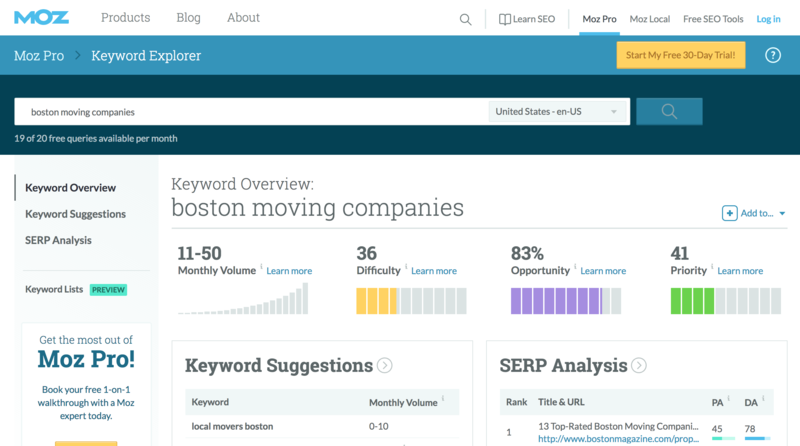 It’s powerful, offering long lists of related keyword suggestions alongside search volumes for each phrase. It’s true that you have to log in to use it, but anyone can sign up for a free Google account. (You might benefit from using Google’s advertising tool, Adwords – but that’s a post for another day!) Keep in mind – Google purposefully does not show all the keyword suggestions they have in their secret vault. They also only report an estimate of the search volume (the times a keyword phrase is searched). That means if you’re seeing phrases estimated at 10-50 searches per month … it could actually be double or triple that. There are about a million other keyword suggestion tools out there – Übersuggest, SEO Book’s keyword tool (requires a free account like Google), and others each offer their own spin and data on keyword search ideas. What do you do with these words? Now that you’ve got your master list of keywords, the question arises: Where do we put them? Answer: all over your website! This piece on keyword placement suggests several places to put them, from the obvious (the title of your website) to the semi-technical (your META description) to the biggest, broadest aspect of your entire website: your content. This does not mean you cram a keyword phrase into every corner of a page. Using a phrase 100 times on a page to try and rank for it in searches will actually get you “in trouble” with the search engines (you won’t rank). Use the phrase normally as you would on any page talking about that topic. A page talking about pet-friendly movers will naturally mention being “pet-friendly” a decent amount of times. What does “content” mean, exactly? This is the meat of your website – It’s about writing high quality, authoritative content around topics you’re already an expert on. Search engines have gotten surprisingly good at doing more than scanning your content for the right keywords like they did in 2000. Now, search engines basically read your content and separate which content is high quality versus keyword fluff. That means if you’ve spent the last 10 years training your crews in the intricacies of moving pets (and have had a website that whole time), Google will detect if you write content that’s from your expertise… or just “words words words keywords words keywords”. Don’t get me wrong, the keyword phrases on your list need to appear in the content at least a few times. In fact, after you’re done writing, it’s important to search your content for that keyword phrase to make sure it’s in there. But like I said before, don’t cram the keyword into every line. Your content should sound natural and informative to any reader. Just like you would want to read. Protip: Search engines tend to pay more attention to websites that are updated regularly. This means it is advantageous to add content to your site once in a while. The most common, and perhaps most relevant way to do this as a moving company, is to maintain a blog! It can have tips for packing, guidelines for moving or even stories about your company. Just make it clear, quick and fun. And yes, find a place for those keywords! Keeping a blog takes time, but it can be time well spent when those blog posts start bringing in interested customers. Putting links to other people is essential. The “World Wide Web” is exactly that: a web. And in this massive, intertwined virtual community, where would you rather be? Off by yourself hanging out in a remote corner? Or in the middle of thousands of people? “Backlinks” are a specific type of links, which in themselves are just electronic threads that connect your website with other websites. From a technical standpoint, backlinks are links on other websites that transport people to your website. The best (not the quickest or easiest, but the best) way to create these backlinks is by creating content for other websites – content that either contains or ends with a link or links that will bring people from that website to yours. That means giving other websites reasons to link to you! The important point to note here is that with backlinks, you aren’t solely attracting the people who read those guest articles you write for other websites. It turns out that when other sites link to your site, search engine starts thinking you must be something special and will bump you up higher toward the top when someone does a search using the keywords you’ve embedded in your site. To score a couple of backlinks, you might start out by writing moving-related articles for your local paper or an organization like your Chamber of Commerce. Or go big and shoot for a place like the Huffington Post that draws millions of readers every month. Not everyone will read what you’ve written, but the mere fact that you now have a backlink from a site as heavily-trafficked as the HuffPost means search engines will really think you are something special. Speed. Let’s face it. People are impatient. Once upon a time, we would be excited if the postcards we sent from our tropical vacation got home to our friends before we did. Now we get frustrated if we can’t upload our selfies right there on the beach. Same with using the net. People don’t want to wait. 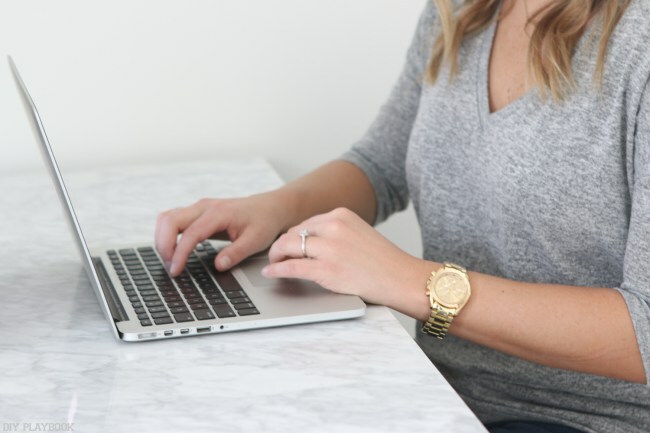 So if your site doesn’t appear within no more than a few seconds, your potential customer will start hitting that back button to move on to someone with a faster homepage. 47% of consumers expect a web page to load in 2 seconds or less, according to Kissmetrics. 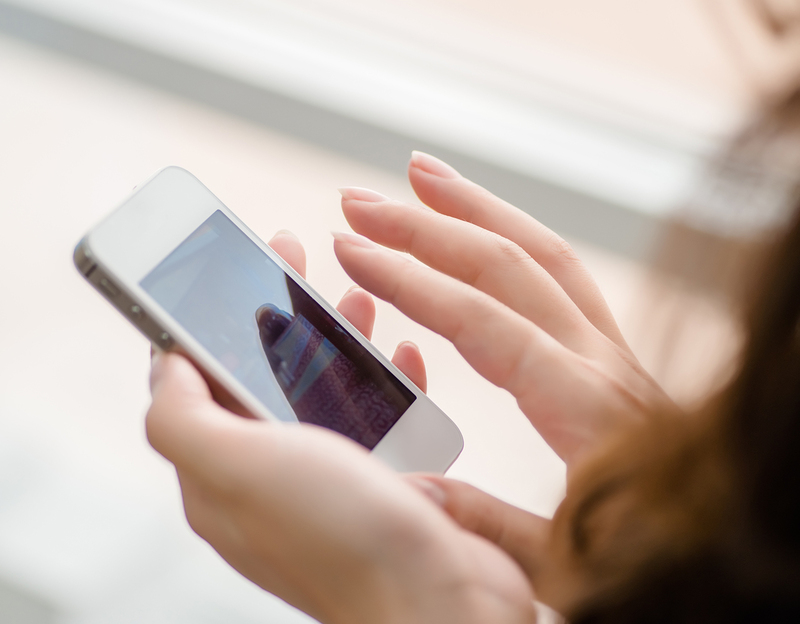 This is particularly relevant with the mobile version of your site – Google itself reports that 53% of mobile site visits are abandoned if pages take longer than 3 seconds to load. And what takes the most time to load? Images! There is a myriad of ways to minimize the time a potential customer has to spend waiting for your site to load. Many of them require a bit of technical know-how. But reducing the size and thus the load speed of your images is simple. Want to know how? Try tinypng.com to compress your images – as they get smaller without losing quality, you’ll see how much faster your site moves! So will this SEO advice really work for you, the small moving company with big ambitions? We think so. For a real live example of how a moving company figured out how to boost their SEO situation, check out this story on SLC Moving of Salt Lake City. Go the extra mile to map out a strategy for increasing your traffic, your customer base, and your bottom line. That’s what the big moving companies are doing. 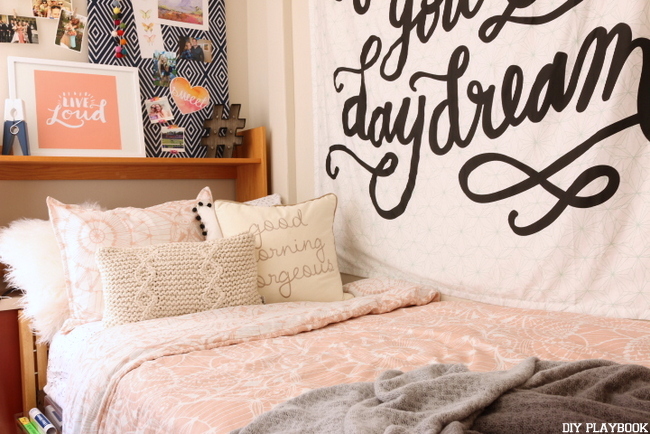 ‘Tis the season for college dorm room shopping! If you’ve been to any of the big box stores lately, we’re confident you have seen all the colorful storage things just screaming “take me to college!”. 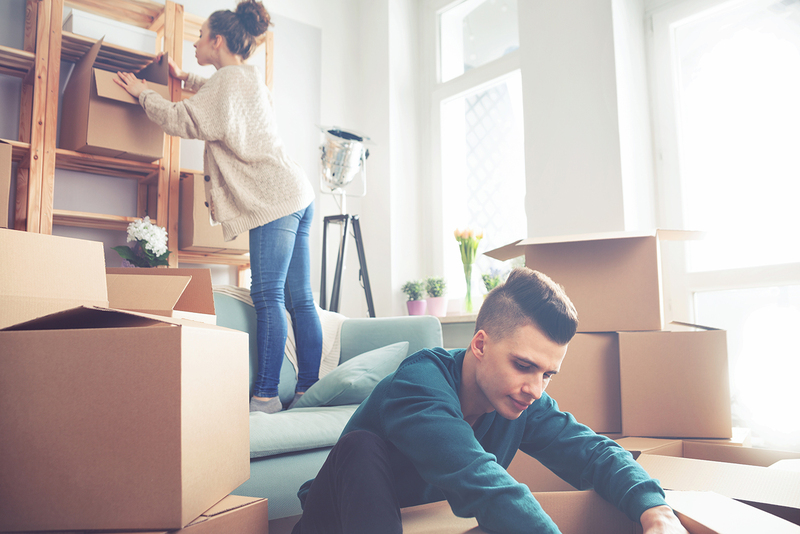 Some college students are eager to start prepping for their new “home away from home”, while others aren’t too interested in putting in much extra time. Whichever you are, we aren’t judging. We’re just here to make sure everyone is prepared for the excitement! With that in mind, here’s an in depth synopsis about what you should bring, what you could bring, and what you don’t bring to college come fall. Be independent and avoid having mom and dad come visit (with the essentials you forgot) less than a week after moving into your new digs. Whether your dorm is equipped with private bathrooms or community bathrooms, this is the number one must: multiple towels, toiletries and shower shoes. Most college students opt for a shower caddy, which is a handy way to corral all of their shower essentials when traveling to and from the shower. Be sure to choose a shower caddy that can drain any water from the shower, because you don’t want it to become moldy from sitting water. 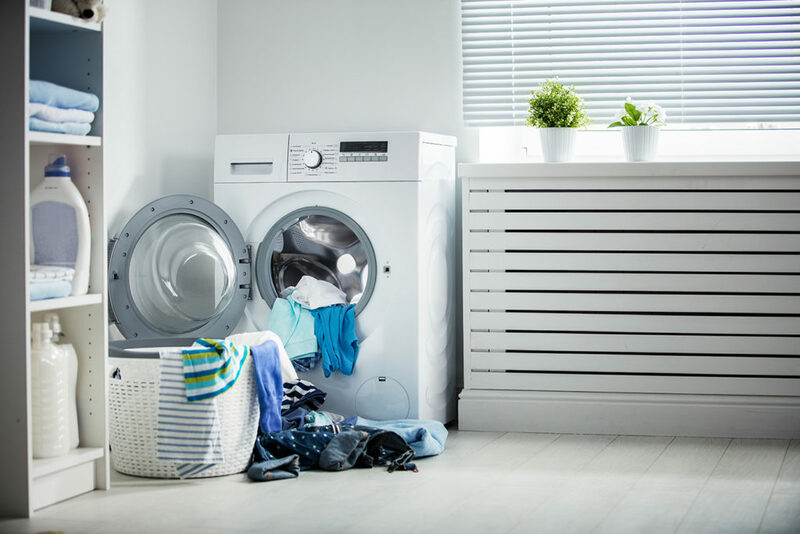 Unfortunately, college life also comes with learning to do your own laundry, and usually, the laundry facilities aren’t anything to get excited about. Stock up on plenty of laundry detergent, softener and dryer sheets to keep your clothing looking its best (and your parents at bay) all semester long. Tried and true for a reason: make sure you pack a microwave with some snacks! Healthy or unhealthy, we’re definitely not judging, just reminding you that having your own stash of food is important. You don’t want to find yourself starving and the cafeteria is closed, nor do you want to pay cafeteria prices. 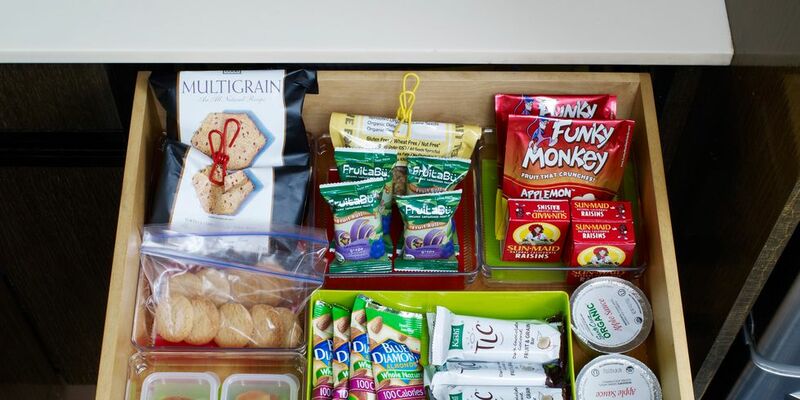 You probably don’t want to buy food in bulk because you won’t have a ton of places to store it, but having some snacks stashed away to hold you over until the cafe opens is essential. Speaking of snacks, most dorms also allow you to bring your own microwave and mini fridge. You can always cut down on the costs of these items by arranging with your roommate to each bring one of the two, that way you only have to invest in one, not both. Laptop, printer, phone charger, microwave, mini fridge, blow dryer, iron, string lights, coffee maker…. all these things hog outlets. Dorms only have a few outlets though, and you’ll likely be sharing them with your roomie on top of it. What can we say, the struggle is real! 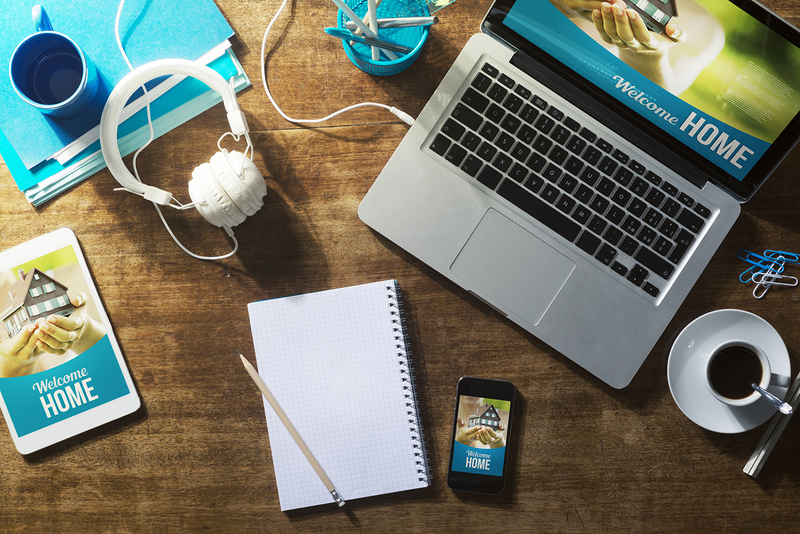 Along with all of these everyday essentials, be sure to pack at least one power strip and possible extension cord so you never get caught with a dead cell phone or no coffee! That could be bad. Focusing on the basic must-have stuff makes it easy to forget about this essential. Make sure you bring your driver’s license, insurance card, social security number (or card as long as you can keep it safe), emergency contact and medical info, paperwork for refillable prescriptions, and any other documents you may need while you’re away. 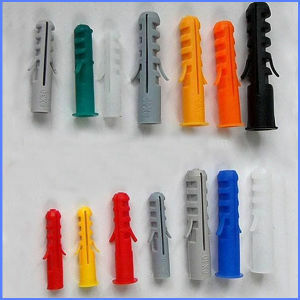 We hope you never have to use some of these, but having them with you just in case is necessary. Some dorm rooms come with commercial grade carpets, but most of these carpets have seen high traffic for several years (at least!). Packing an additional rug or carpet squares to add to your dorm will not only make your room look a lot cuter, but it will make the whole space feel a lot more warm and cozy. 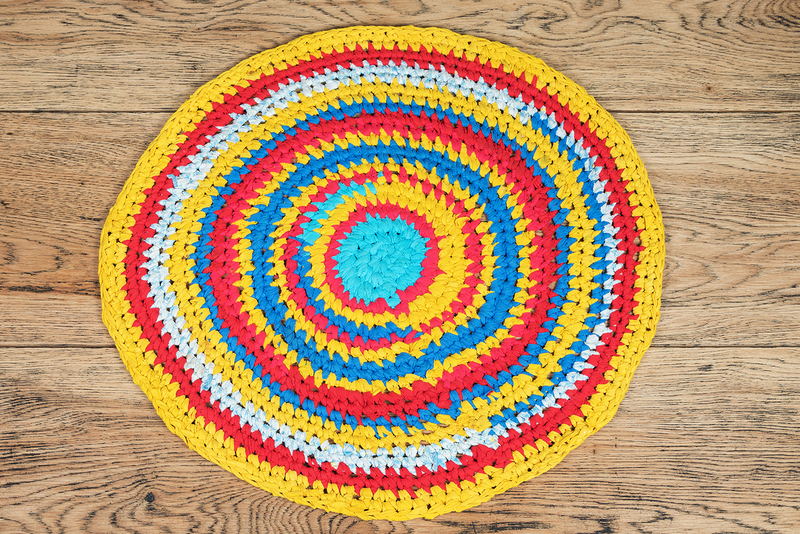 Consider a cool rug because this tiny upgrade will make such a difference… and may even keep your room a bit warmer in the winter if it experiences any kind of drafts like our dorms rooms did. No matter your lifestyle, living in these cramped quarters all day every day means that your dorm room is bound to get a little messy! 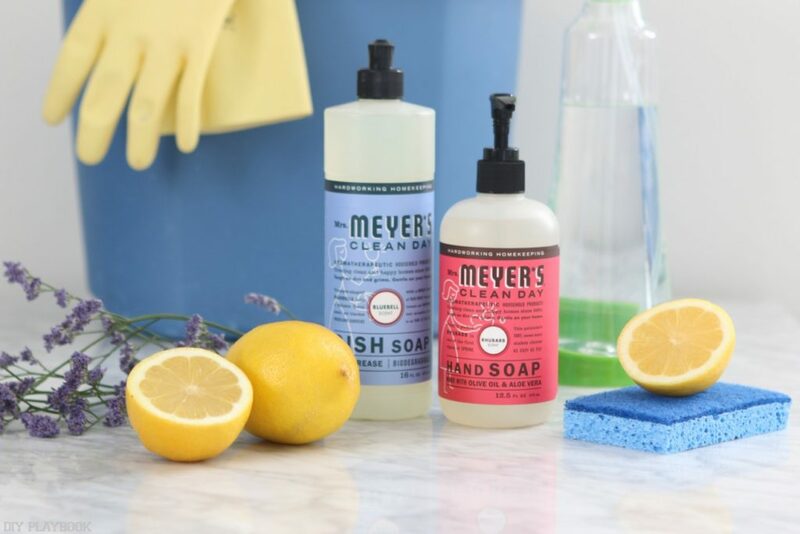 And since mom or dad isn’t tagging along to clean up after you, it’s important to pack some cleaning supplies so you can keep the place clean… especially during flu season. Before going out and splurging on a new printer or lugging your large printer into your dorm room, be sure you actually need this piece. Although having a personal printer is a huge perk when it comes time to last second papers, most schools offer a free printing lab that can do the same job. 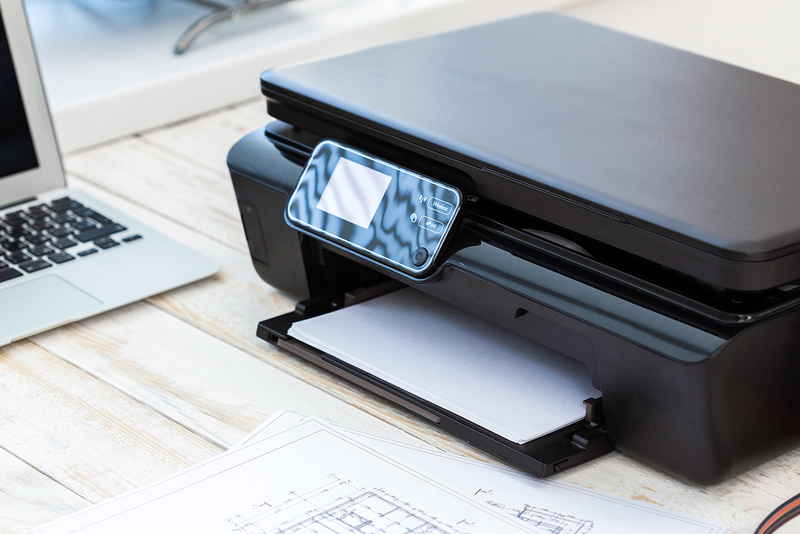 Plus printers are large and take up some valuable space in your room. Not to mention they can be costly with ink refills and necessary repairs, so be sure it’s a definite must (or a fancy luxury) before you add it to your shopping list! Although it may appear as though you will have a twin bed in your dorm room, most dorms actually have XL twins instead of the traditional twin sized bed. So packing twin-sized bedding will be a big mistake since you’ll find out pretty quickly that these new sheets won’t fit on your new bed! We speak from experience. If you want to double check, try social media to get some inside intel. Almost every dorm these days provides their own chairs. Coupled with how much space these things take up in a car, you absolutely do not want to make the mistake of doubling up. And if you’re really attached to your chair at home? Considering how big dorm rooms are, now’s the perfect time to start learning to love other seats! Do we even have to say this? Apparently, we do. We know, we know… it’s hard to leave home, and even harder to leave home when you’re leaving your beloved pet at home. But unfortunately, dorm rooms do not allow pets of any kind. 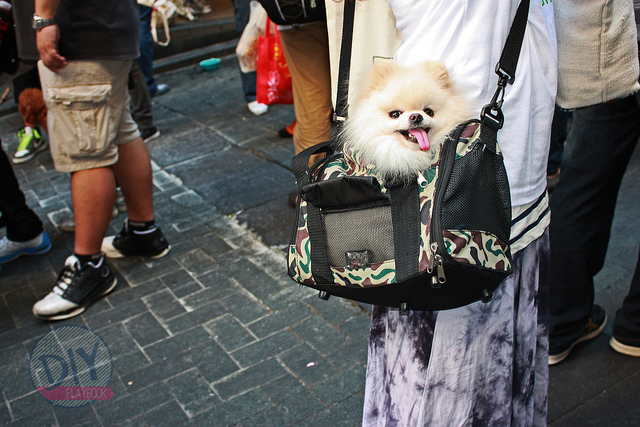 So sadly you can’t sneak in your pooch, kitty or even turtle into the halls of your new home. We urge you to skip the bulky luggage. Unless you need it for frequent flights back home, luggage is an item that will take up so much valuable space in your tiny new digs. 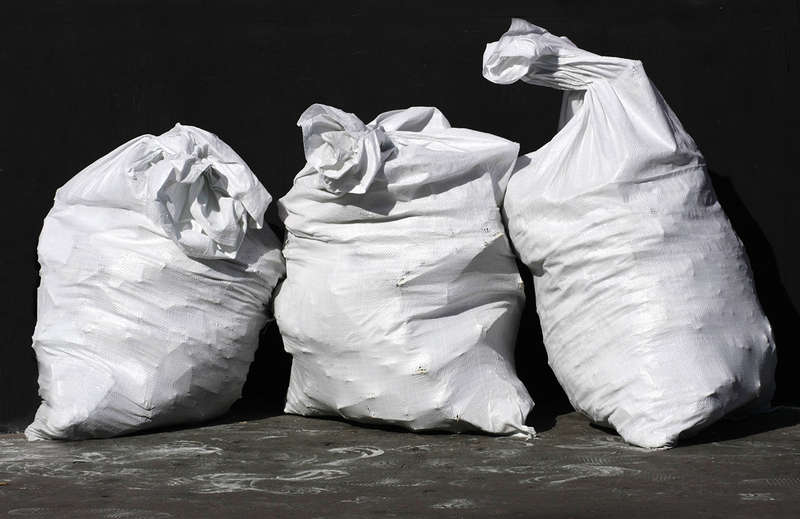 Instead, try packing everything you have in oversized duffle bags (or even trash bags) that can be broken down and stored under your bed or somewhere else less invasive. The duffle bag will still allow you to pack up and travel, yet won’t waste valuable space like large luggage would. It’s important to touch base with your roommate before the move-in day so you can coordinate what you are both bringing so you don’t double up! Space is very limited and sometimes so are funds, so splitting these items up will not only ensure your room isn’t overflowing with doubles of everything, but will also help cut down on costs for both of you. The countdown to college is officially on. Hopefully, now you are fully prepared for what you should bring, could bring, and should NEVER bring to move-in day! Either way, unpacking can quickly turn your new home into an ocean of cardboard and newsprint. 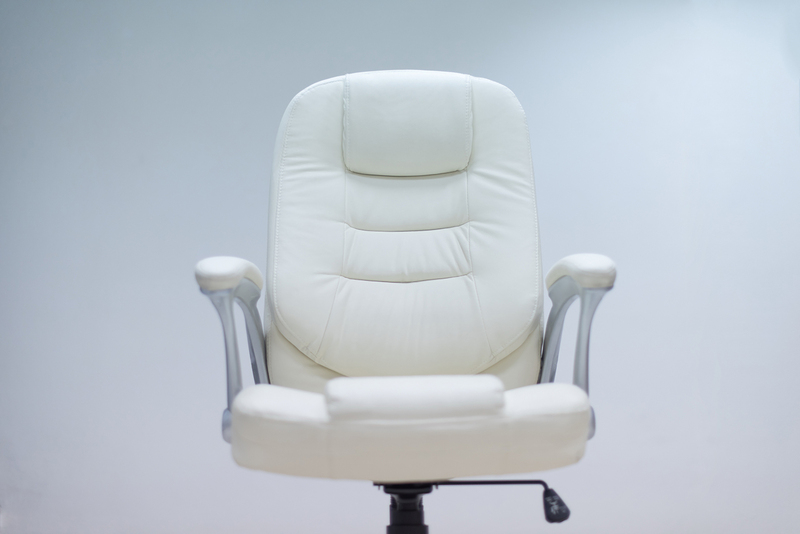 To make the process more manageable – dare we say more enjoyable? – here are some industry tips for getting your unpack off to a raging start. For more a more in-depth look at the how and why for house prep, check out this post. In the kitchen or dining room, do whatever you need to do so you can get your boxes up high. Why? Because you’ll need that counter space to place boxes on before you carry your things around your new place. Why on a shelf? Because if you unpack from the place you dropped down that heavy box, you’re going to feel it in your lower back the next day. And week. Trust me, unpack up high. Always. No one in the history of unpacking has ever unpacked in one day. Unless you think you can be the first, don’t wait to unpack your bedding, set up your bed, hang your shower curtain and dig out what you need to feel clean and refreshed after a long day (or week? or month?) of moving. It takes almost no time to unpack your books and stick them on the shelves of your bookcase. In a matter of minutes, you can transfer your t-shirts and jeans from boxes to dresser drawers. And for goodness sake, get those massive and bulky wardrobe boxes unpacked and out of the house! Unpacking large pictures, mirrors and paintings is also quick, and you can then get rid of those bulky mirror cartons. Some folks, however, suggest hanging your pictures up early on to give your new place that homey feel. I say lean them up in a corner somewhere until you get all your furniture in place. Later on, you can do the “a little to the right…a little more…no back left…no not that much…okay there, no, a shade higher…yeah, that’s perfect” thing. If you are the motivated type, feel free to skip this tip. If you are easily distracted and tend to put things off, you might find it helpful to …. Hey, are you listening? … set goals for yourself. Commit to unpacking one room per day, six boxes per hour, whatever. And reward yourself for sticking to your plan by going out afterward. Just remember how satisfying it will be when you’re all finished. As you empty your boxes, set aside those items you decide you won’t need right away – or for a long time. 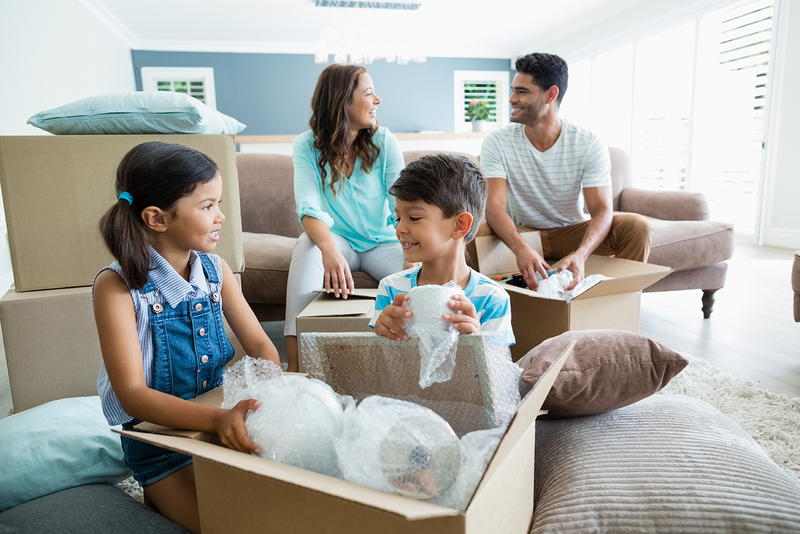 Keep a few of those now-empty boxes handy and consolidate those items you put aside for quick transfer to the basement, the attic or the back of your closet. Protip: Just as you did when you first packed, write the contents of each box with a marker as you go through your consolidation. The ultimate distractor. Do unpack the tunes, though. We suggest purging while unpacking. On move after move, it’s common to see people wait for weeks (or months) for the family’s stuff to arrive. Living without most of their stuff, they often realize that so many things were unnecessary. And while packing stuff in a box allows you to forget about it, having to unpack it and find a place for it helps you decide whether you really need it. As with the stuff you’ll be storing in the attic or the basement, set up a box or two for these things you’ve decided to part with. Keep a couple of medium-sized boxes on hand, and use them to stash all the packing paper that would otherwise turn the floors of your new home into a churning sea of crumpled newsprint. 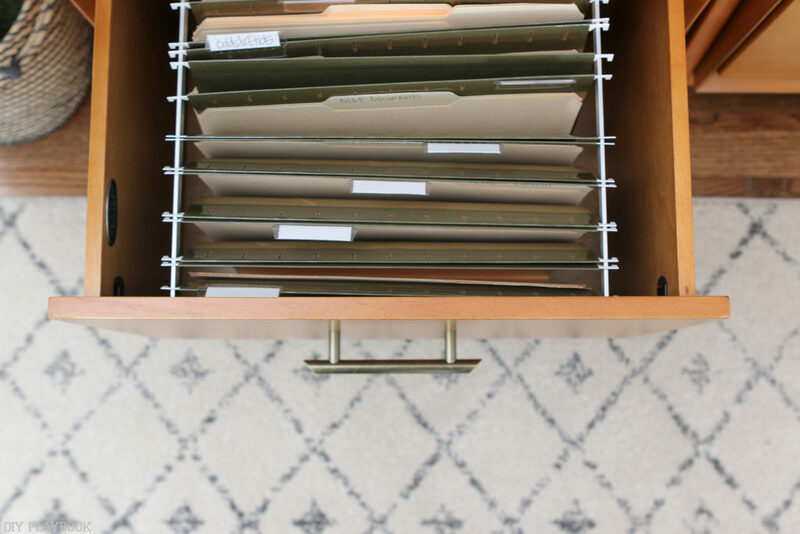 Flattening and folding all that paper will save a lot of space – if you have the time and patience – but doing so also helps you find smaller items that can go unnoticed and disappear forever. I can’t count how many times a customer dropped their used moving boxes off at our warehouse with items still buried in the packing paper inside. Protip: Packing a large box with flattened paper can make it surprisingly heavy. Medium boxes are more manageable in this respect. First, get them out of your way. The garage – if you have one and there’s room – is the obvious choice. (Think twice before stashing them in the basement “temporarily”.) If the weather is good and it feels appropriate, start breaking down your empty boxes and putting them out by the curb. Unless your new home is on a cul-de-sac it may not be long before you see passer-by stop and take those boxes off your hands. If this doesn’t work, here are three ideas that don’t require a box-hungry passerby. If you have the time, the storage space and the mental fortitude try passing on your boxes to someone else who is getting ready to move. Facebook groups and Craigslist are two widely-used resources for advertising moving boxes for sale or for free. Some moving companies will be happy to take your boxes and your packing paper off your hands. If none of the smaller local movers will take them, check for national van line agencies in your area (like United, North American, Atlas and Allied). The agencies I worked for never bought used boxes from people, but we were always happy to take them if they were in decent shape. Recycle if you can’t find someone who will reuse them. Unpacking can prove a more formidable task than expected. Whether you think it’ll be like Christmas or a root canal, putting these tips into practice will help you feel at home faster. Then you can sit back and watch the TV. Adding smart technology into your home is not only a great way to add convenience and value, but it’s also a great way to stay energy-efficient. Take the awesome smart thermostat for example… this gadget can be a high expense up front, but it will end up saving you big money in the long run. Some energy companies are even offering their customers $100+ in refunds if they show proof that they installed a smart thermostat! Because this technology is a win-win-win in our playbook, we decided to show you how easy it is to make your home smarter with the smart thermostat. And when we say easy, we really mean it! This entire project can be broken down into eight steps that shouldn’t take you longer than 30 minutes. 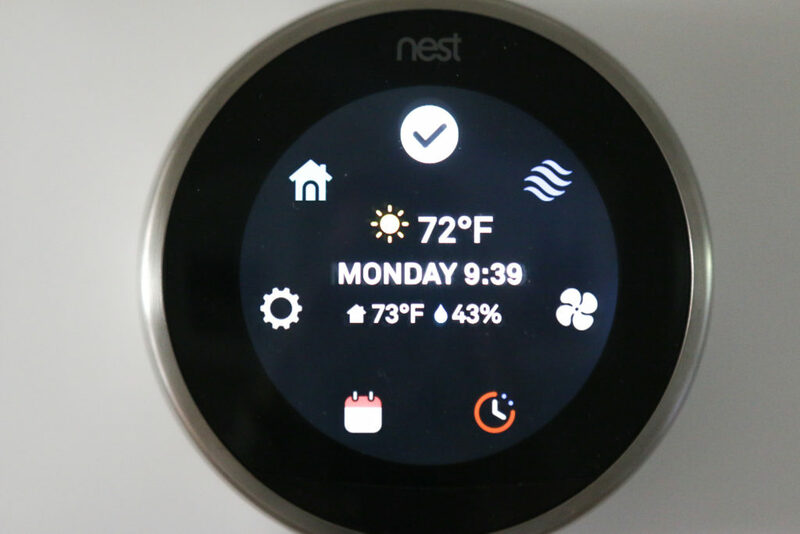 We installed the Nest for this tutorial, but there are a lot of awesome smart thermostats on the market. Do your research and find one that works best for you and your home. 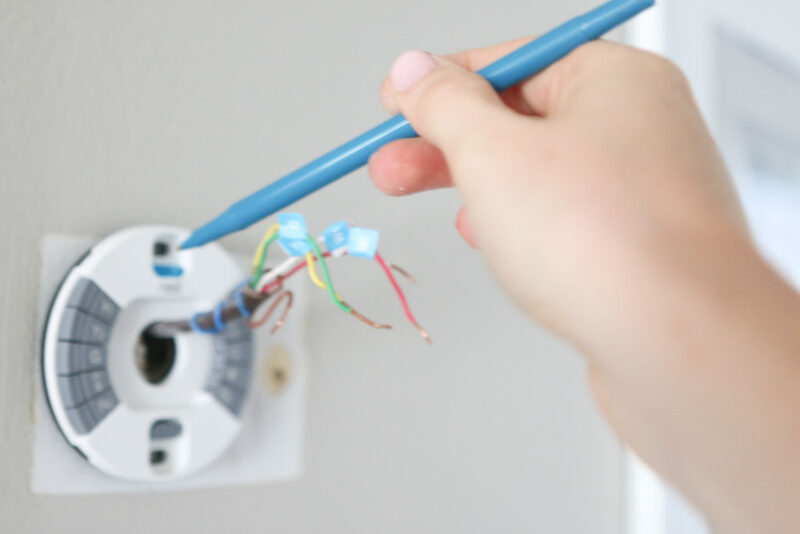 No matter how experienced you are with DIY projects, we highly recommend turning off the power to this system before moving on to the next steps. This is the safest way to install the smart technology and the only way we advise you to complete this installation. You will also want to make sure you have enough daylight left so you can see the project without the lights on. After the electricity is off, we are ready to get to the fun part! Pop off the face of your current unit, which may require unscrewing a screw, depending on your unit. Ours popped right off, no screwdriver necessary. 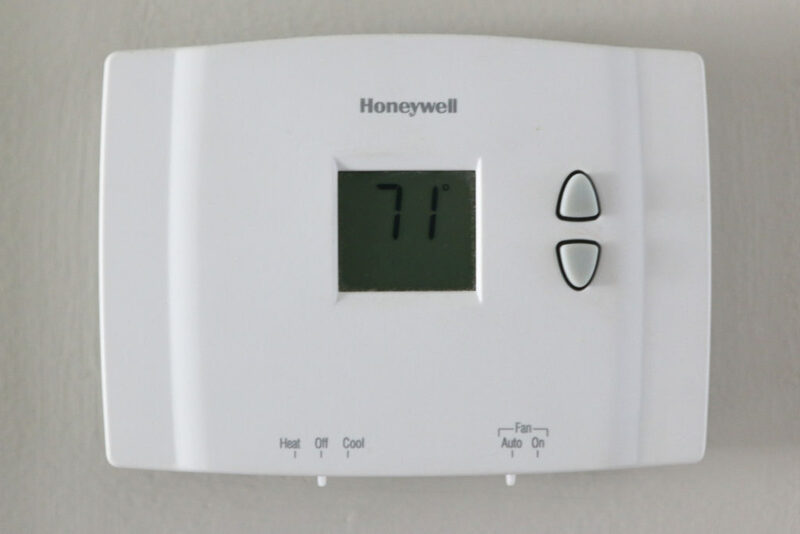 Above is what most thermostats look like without the cover, though yours may vary slightly. What matters most are the wires. 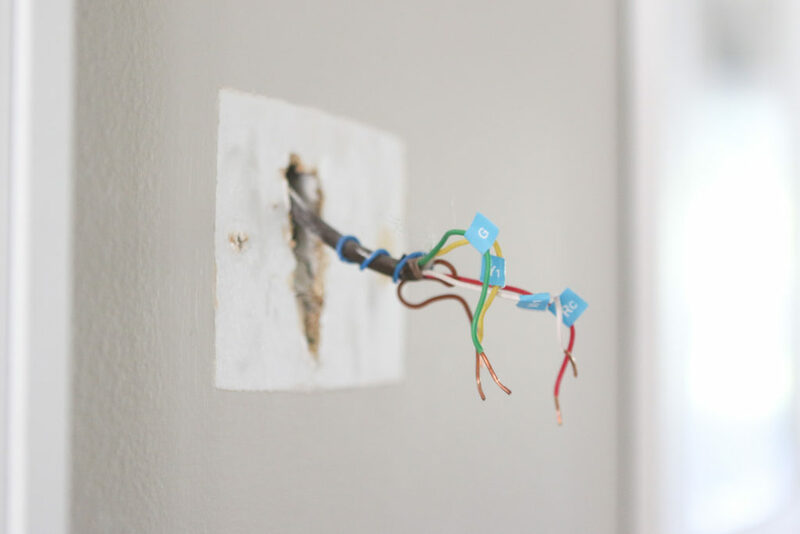 Before you start removing the labels from your old thermostat, we need to label them so that we are fully prepared for the last few steps of this project. The Nest comes with these convenient stickers (right in the manual!) so you can keep your labels organized. If you don’t have stickers, just use whatever you can to label all of the wires. 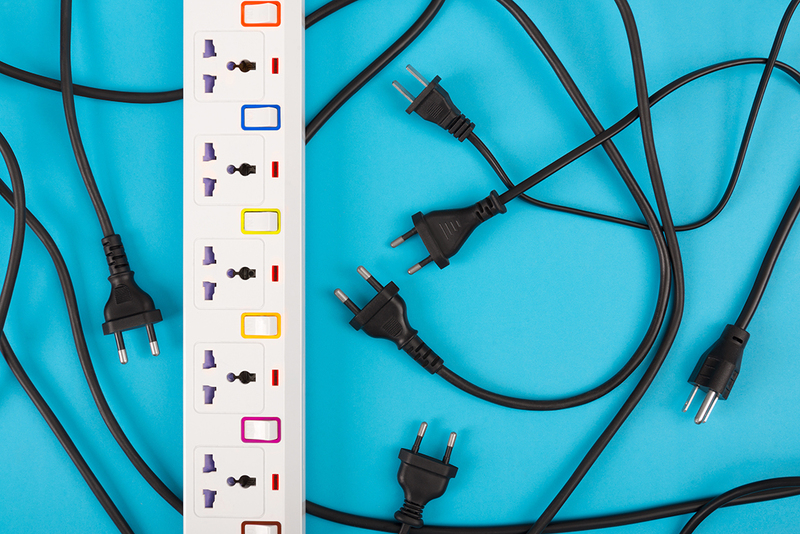 We only had four wires, but you may have more, so make sure you label everything! You’ll thank yourself later… we promise! 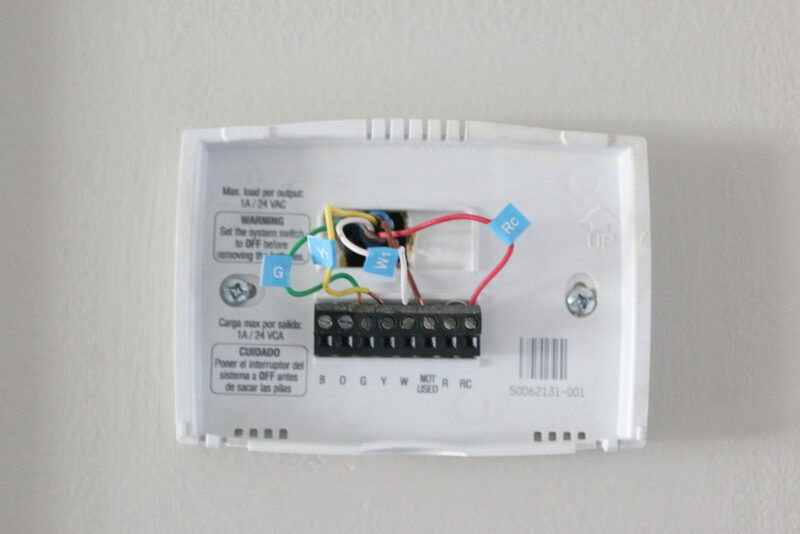 After the wires are clearly labeled, it’s time to unscrew the old thermostat and carefully pluck it off the wall. Use your screwdriver and it should come off fairly easily. Make sure that you’re not taking the wires (or stickers!) with you because you’ll need both of them soon. 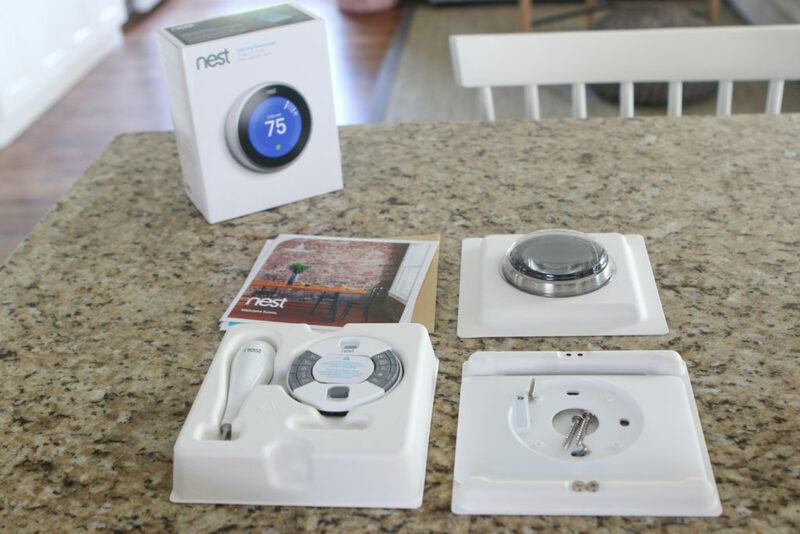 The Nest provides a level within the product (genius! ), which makes this process extremely easy. The level makes it simple to identify when the device is evenly placed on the wall, and that’s when you can make a mark so you later know where to drill. If your smart device has no internal level, don’t worry! It’s a pretty simple process to use an external level to make sure you’re screwing it on the wall correctly. 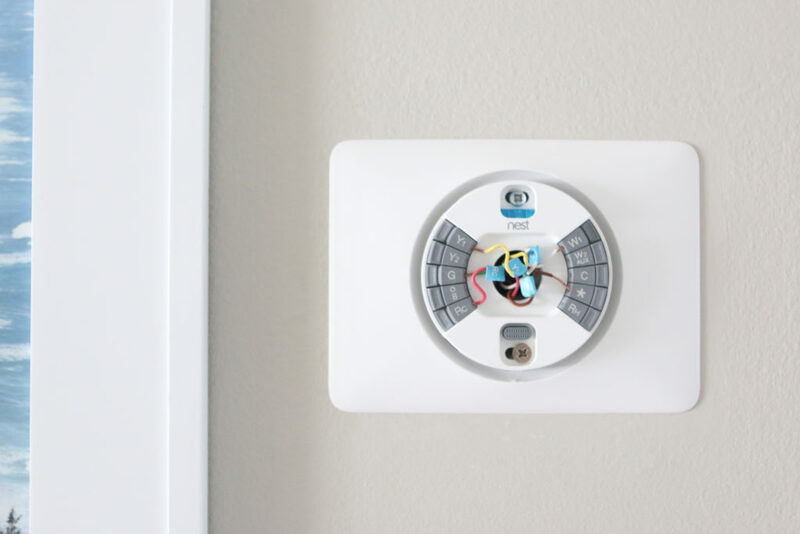 After you mark the wall, add your trim plate (if necessary – it’s the plastic encasing that goes around a lot of these smart devices) and hang the Nest using the markings you made to guide you. You may need to use an anchor for extra reinforcement into your wall during this step, which does not always come with the kit. This is when those stickers come in handy. Not only is the technology itself smart, the team that created this kit may be even smarter because these stickers are genius! Simply match each wire’s label to the label on the Nest (or the labels you made yourself), then pop them firmly into place. 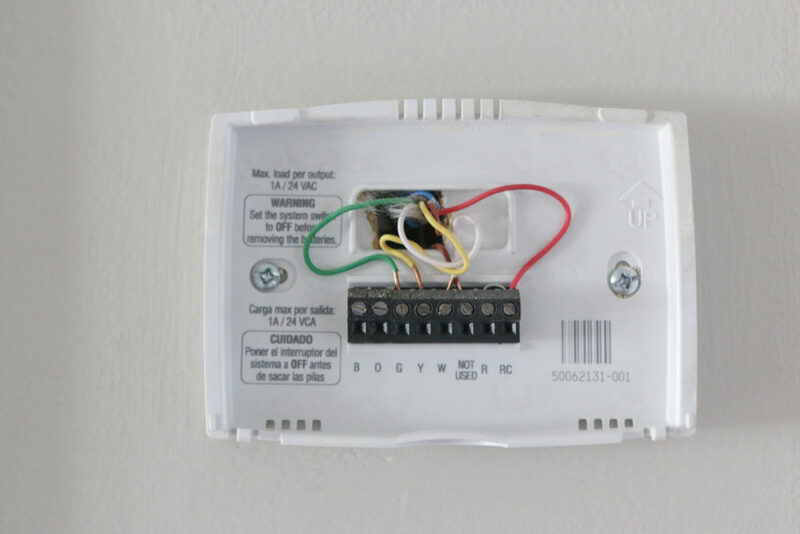 Make sure the little box the wire goes into pushes down snugly, because that is how you will know it is tight, secure and connected. 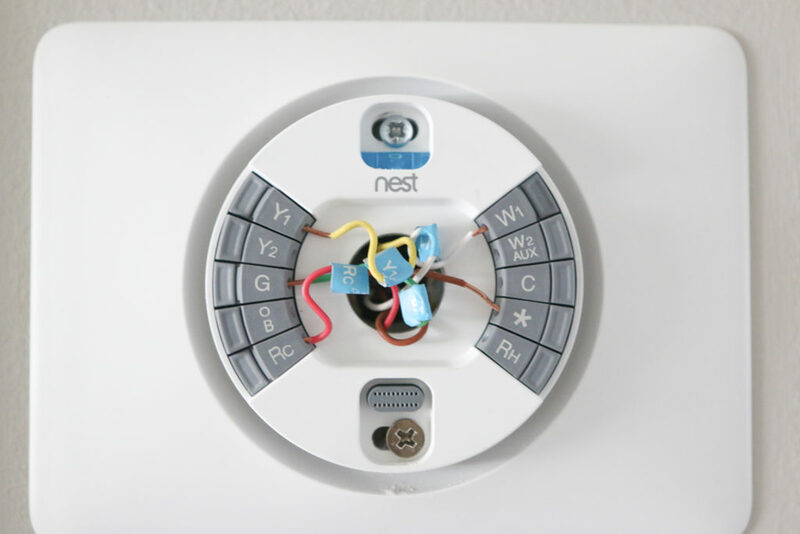 If the Nest lights up a few moments after you turn the power back on, you have successfully completed the installation. If not, turn the electricity off and recheck the colored wires to make sure they’re both in the right spots and pushed down correctly. Your little gadget will immediately start prompting you through a series of steps that will guide you to align this new technology with your home. This part is where the “smart” technology really comes in! Once you connect the Nest with your home’s wifi, you can monitor it from anywhere you have a wifi connection. That means you can click on the heat from work, turn on the air before you get back from vacation, or even change the temperature in the house while still laying in bed (that last one is probably our favorite!). If that’s not smart technology, we just don’t know what is. So do you think you can tackle this project and make your home a little smarter, all while saving money and energy along the way? 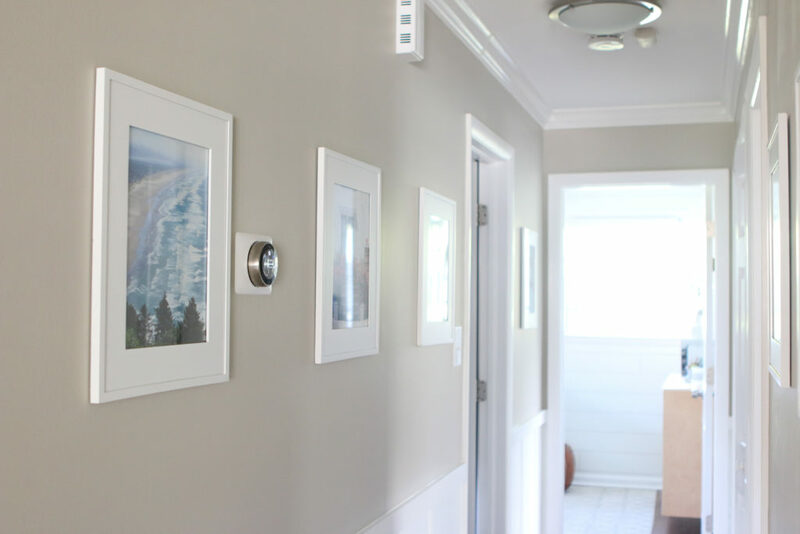 We’re confident that installing a smart thermostat is so simple that you now have all the steps you need to check this project off of your to-do list… maybe as soon as this weekend. Camping, family vacations, gardening, baseball – summer is chock full of activities that pair well with that laid-back nature of relaxing. Another summer staple? Garage sales! 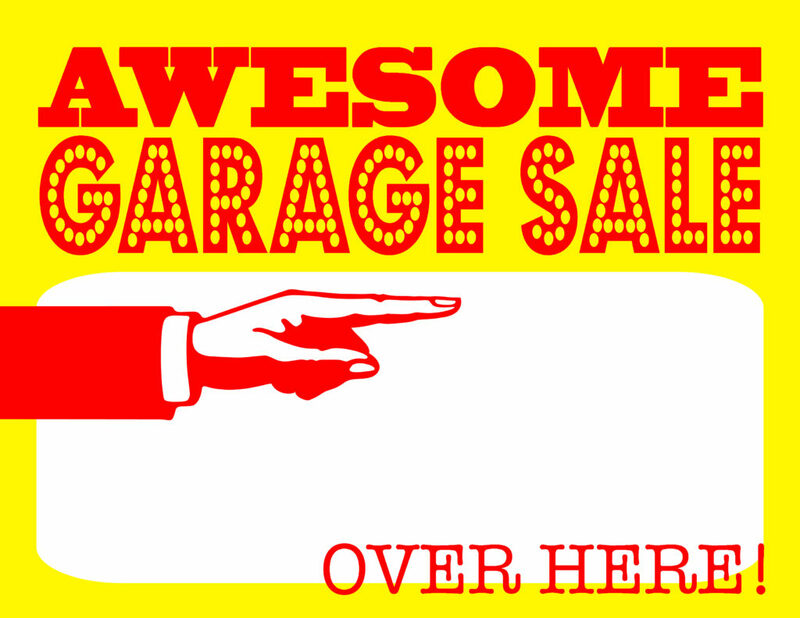 Now with summer upon us, it’s officially garage sale season. 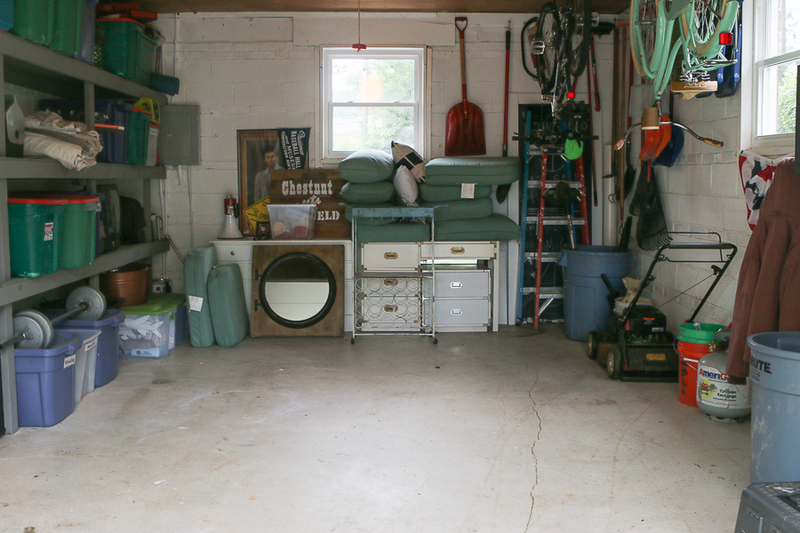 This simple tradition is a win-win for both buyers and sellers because it allows the sellers to get rid of the “stuff” that has been cluttering their garage for far too long, all while making some extra cash. It’s also great for the buyers because they can score items that aren’t always on the market or stuff they could buy elsewhere for a fraction of the cost. 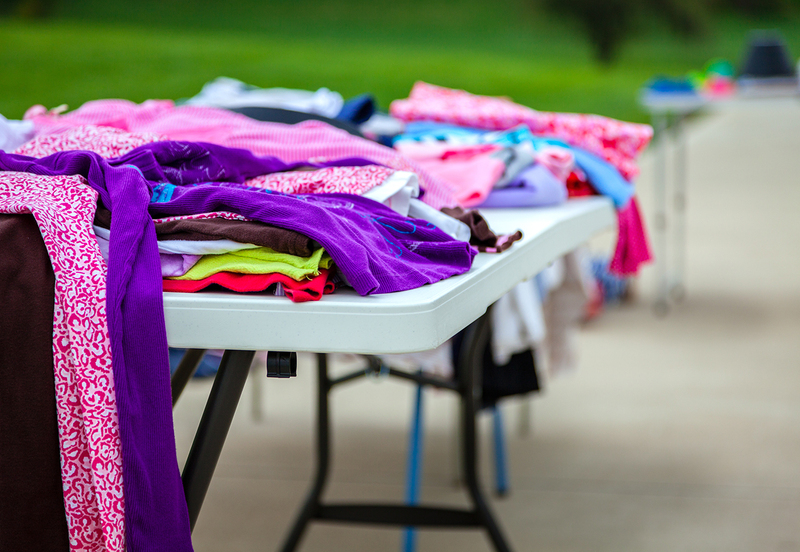 If you’re thinking about hosting your own garage sale this season, we’ve compiled a list of tricks that will help you increase business by bringing in more customers. That’s more profit and less stuff to haul back inside after it’s all over. Some cities or villages require a permit in order for you to hold a garage sale, while others do not. It’s important to check with your specific town to see what the protocol is before you start planning your garage sale. (Just do a simple Google search.) We would hate to see your’s actually get shut down after you put in all that prep time, just because you forgot to snag a permit. It’s better to be safe than sorry. Once you have your permit and a specific date set, it’s time to start combing through every nook and cranny of your house (don’t forget the attic!) in order to get rid of any items you don’t use or love anymore. From large furniture to small accessories, there should be almost nothing that is “off-limits” for a garage sale. You also want to take this time to start clearing out your garage. The piles of stuff you hope to sell don’t necessarily have to be organized during this stage, but it is important that everything is located in one spot so you have a sense of how much stuff you hope to sell. If you don’t have large fold-up tables, you may want to ask your friends and family if you could borrow some. Even small card tables will help you display the merchandise effectively, which really helps business! If your family and friends don’t have any tables, you can always ask local businesses or organizations like the VFW or Goodwill. They may be more than happy to lend you a table for a few days, especially if you’re a loyal customer or are willing to share some of the profits of the sale with their organization. Once you have identified what you want to sell and have your tables, start organizing your stuff by category. If you have furniture, put all of that in one spot. If you have a lot of holiday decor, put all of that together on a table. You can even use Tupperware bins from the attic/garage to pair like-things together, such as children’s toys or stuffed animals. Grouping these items together will help the customers identify what you have to offer a lot more clearly. The key to a busy and successful garage sale is getting the word out! Some choose to advertise their garage sales in the newspaper or on the internet, but you should also invest time in creating eye-catching signage to place at busy intersections nearby. Choose bright colors and make your signs big enough for people driving past to stop and take notice. It’s also important to make signs that lead your customers directly to your driveway. Some people won’t look at the address and put it into their GPS, especially while they’re driving. It’s huge to plop signs along the route with simple arrows and bright colors, so drivers can follow the signs right to your house without getting confused or frustrated. Even though many of the items you are selling hold a special place in your heart, it’s important that the garage sale price of this item doesn’t reflect this history. It’s important to price your items to sell! After you price everything, don’t be afraid to categorize items by price because this will make marking the items a lot easier. You can put a large $1.00 sign on a table and tell customers that everything on this entire table is a dollar. This will save you some serious prep-time and keep your life a lot easier on the day of the sale. Make sure you visit a local bank and cash in some large bills for singles, fives and coins ahead of time. Many of your customers may not have exact change and if they pay their $1.50 balance with a $20, you need to make sure you have enough change for them. Also, be sure to have this cash in a secure spot that is being supervised at all times. 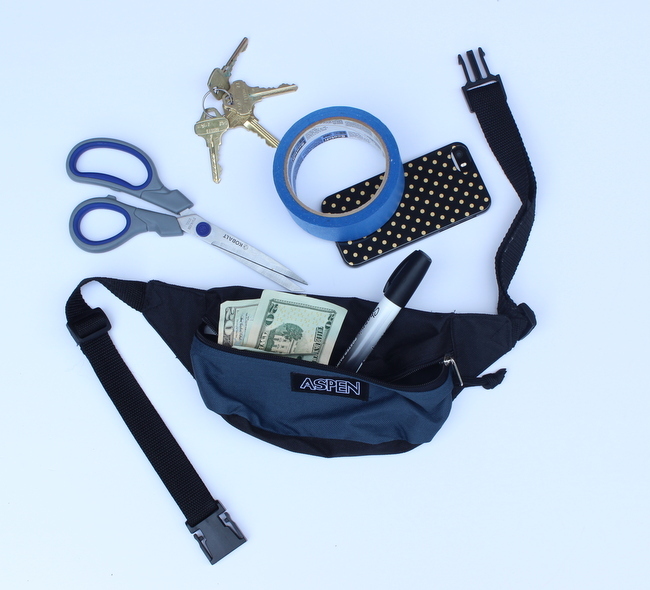 If you want to keep it on your body at all times, try using a cross body purse or fanny pack. 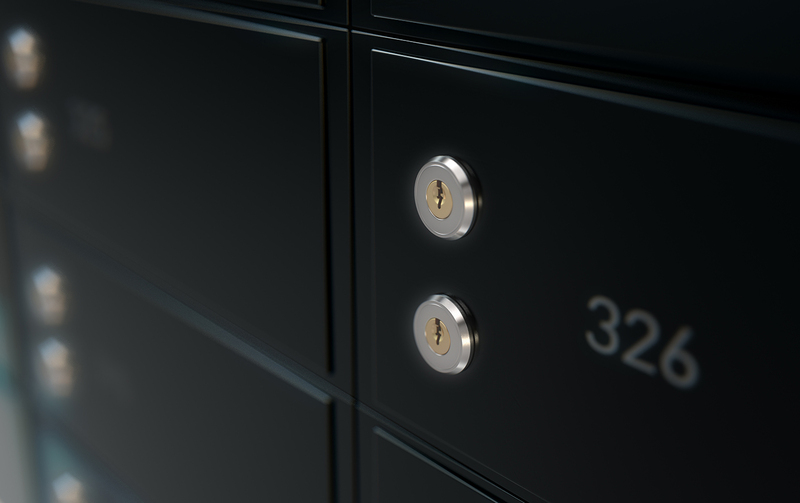 If you feel more comfortable putting it in a cash box, make sure someone is sitting and supervising the bank at all times. Speaking of supervising the cash, it’s best if you have at least two (maybe more) people working the garage sale. At times, it can become hectic with customers asking questions, paying for the merchandise and just coming and going. Having two people with specific jobs will help you avoid the chaos, help customers and stay attentive to the cash at all times. You never want to take less money, but customers will definitely try to haggle the prices at garage sales. It’s okay to stand firm, but you also have to be realistic. 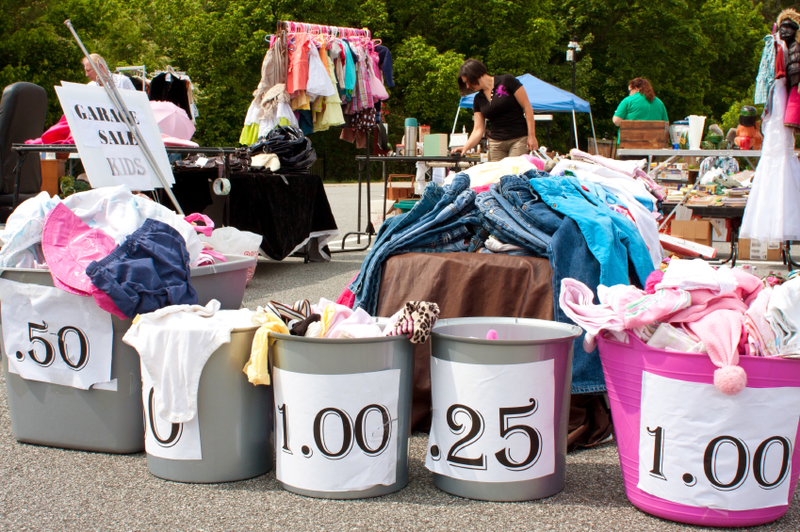 Be open-minded to accept less for some of your items, especially when the garage sale is almost over. It’s better to make some money, instead of nothing at all! After the garage sale is over, you may have a few items left behind that were not sold. It’s important to have a plan for this so that this stuff is not taking up valuable space in your garage, attic and closets anymore. Whether you plan to donate the items or try to sell some of the larger ones on Craigslist, make a plan of action before the sale is over so you know exactly what to do after the last customer leaves. 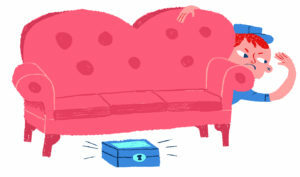 Although garage sales can be a lot of work and stressful at times, make a point to enjoy the experience! Invite over some friends to help so you can catch-up during slow times, turn on the music and soak in the sunshine. The more fun you have, the better your experience will be. 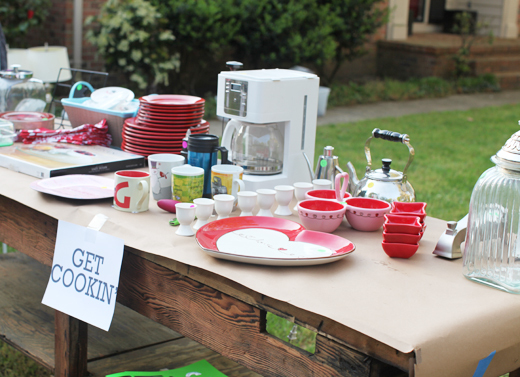 If you follow these tricks, we’re confident that your garage sale will be a big hit! And after it’s all said and done, hopefully, all you’ll have to worry about is where you are going to spend all your hard-earned cash. When you move, protecting your furniture is a huge part of the deal. And for most people who move, we’ve noticed the hardest piece of furniture to truly protect is none other than the common chair. Do any of you guys have scars that remind you of something? Something crazy you did? Some incredible, life-affirming moment you experienced? I do. Sort of. I have a scar on my chin that reminds me of a refrigerator, a hand truck and a set of stairs. When it comes to moving heavy appliances, some things are not so obvious – until of course you get hit in the chin. This month we go over a few things to know before you start wrangling with that big shiny fridge. That is, a commercial driver’s license, which allows you to operate large or extra heavy vehicles. 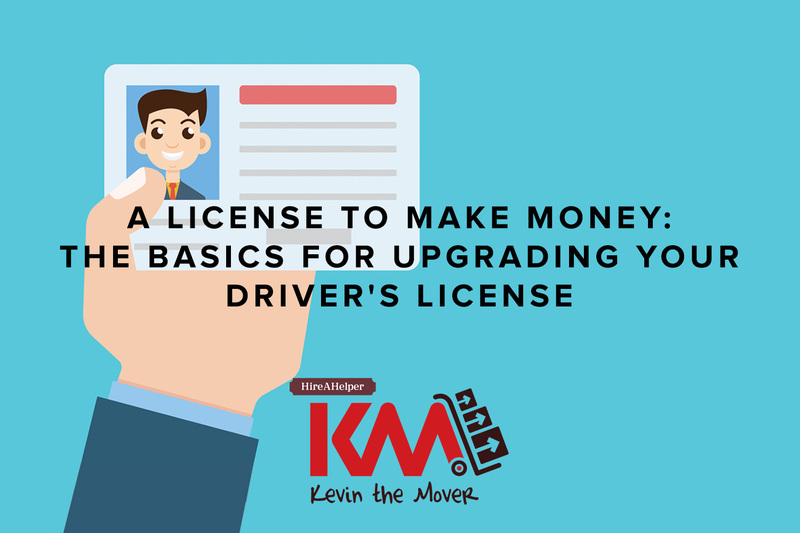 For all of you who need CDL drivers now – and for all of you who plan to need them eventually – this feature is for you. We’re going to go over the basics to make your road to work as smooth as possible.